We've been fans of Chie Mihara ever since the wonderful team at Surgery PR introduced us to her wonderful shoe collection back in March, so we're delighted to pair up with the lovely designer and run a very exciting giveaway for South Molton St Style followers. Chie, we've been an admirer of your designs for a long time - where do you get your aspiration from? From people, from observing our needs, our desires, what drives and motivate us. Design is about communication. I want to really fulfill womens' needs with comfort, a design that makes her dream and a quality she can trust. It's lovely to see true craftsmanship in the way you make your shoes, tell us more about it. The shoe making in Spain is so old that generation after generation pass their knowhow, and makes very high quality footwear. Its very important for me the care and love workers have for shoes here in Spain. They say that shoes run in their blood! You've lived in some amazing places, is there any particular place that you feel as inspired you most as a designer? Not really, but I'm aware that having lived in many different places gives me a sense of not caring where I'm from, I am myself, not a country or a culture. If you could be the Creative Director for any other fashion brand/house - which one would you choose and why? Have you had the 'I've made it' moment yet? If so, what made you get it? I've made it? The moment I think that way is the moment I start to die! If you could pinpoint one moment, when have you felt most proud of your achievements so far? Every collection is an achievement, every mail received by a happy customer or a fan is a super achievement! We love your AW11 collection, do you have a favourite pair? My collection has about 160 styles every season and I always include a theme that "pushes" the collection a little further. Which not always is well sold, but for me is the vital to present it. This season was about men's shoes from the 70's, alongated, smoky, jazzy type of shoes on shiny leather. 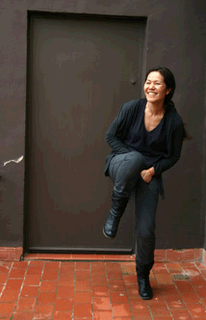 Whats next for Chie Mihara shoes? If you are a Google Friend, you must follow this blog and write a comment telling us which is your favourite pair of shoes from the AW11 collection. If you aren't a blogger, please follow South Molton St Style on Facebook here and write on the group's wall which pair of shoes you like the most from her AW11 collection. The winner will be selected by Anna, Steph and Chie on the last day of the month, so think creatively and dare to impress! Remember to keep posted with the giveaway via our Twitter @ SMS_Style too! I love the Incas and the Fenomenos. So fab! It's the Darrer style for me. 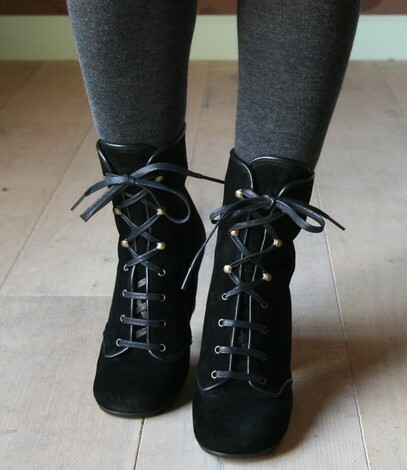 Perfect dress up, dress down shoes! I was not able to post on Facebook, so I came back to this post. I searched through the site and was extremely impressed with the craftsmanship of these shoes. The "pizca" style is timeless and fashionable. 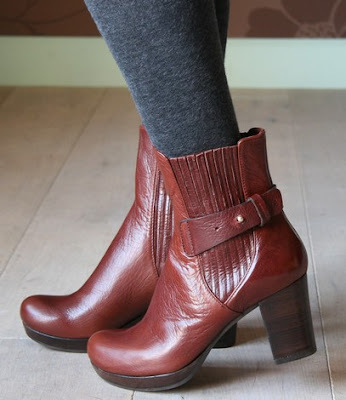 I often blog about vintage/timeless fashion, and the "pizcas" are just that: classic shoes for a classy woman. It's a toss up between Darrer and Ortiga, but marginally I prefer Darrer. They're the perfect pair of classic, timeless shoes; they'd go with so many outfits! I think they're brilliant for the androgynous look. Dying to win them! Great post! I love your blog, keep up the good work! oh i cant decide between the Fenomeno and the Ortiga! both are to die for! but if i had to choose, i'd go for the Ortiga. the red made it irresistible. was never much of a heels person, but oh man, these totally converted me. i am now a heels lover. These shoes are so sublime, I love them all, but I would choose 'Incas' as my favourite choice. WOW! 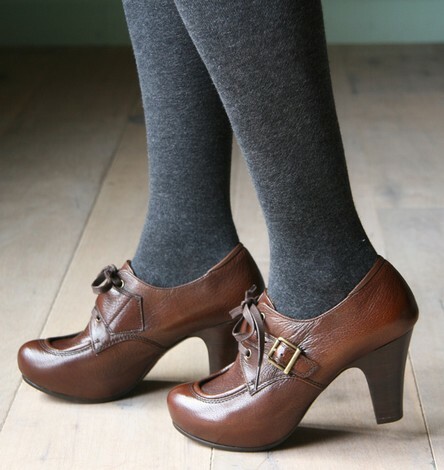 I have always admired Chie Mihara as being some of the most unique and beautiful shoes I've ever seen; they really speak to me. They have an old soul, their shapes reference the past and yet they feel very modern and fresh. It was hard to choose my favorite when I looked at the A/W collection on the website, but I can't resist the cognac/grey colorblocking of the Anoak shoe! It has to be my favorite! I am a Google Friend Connect follower! Thank you for the chance to win. These are all so beautiful. I love the idea of a handmade shoe.. cobbling is an incredible skill & artform. I'm in love with the Enara, partially because the style is just simple perfection, but also because I immediately was reminded of a TV character I love, Inara, from Firefly. I may be too late to enter the contest, but whooooa did you ever get my attention with your beautiful collection!